To know if you can still see your doctor on a new health plan, you need to check to make sure your doctor is part of your Obamacare health plan. It changes every year. It is important that you are aware of which provider network your health plan supports. For instance, if your insurance company is CIGNA, you should be aware that CIGNA has more than one provider network. Which of CIGNA's networks is included with your plan? There are some Healthcare Sharing plans that allow you to visit ANY doctor or hospital without penalty. Other such plans still offer the nationwide PPO option that offers the largest amount of available providers. We believe that in the future, in most cases, access to doctors will work much like it does today. Healthcare plans will contract with networks of doctors, specialists, and hospitals. As long as your doctor is contracted with your plan, there is no reason to believe that doctor will stop taking appointments. However, in years to come it may take longer to see a physician in person. In some areas, the number of people who have healthcare plans will increase significantly, but there may not be a corresponding increase in the number of doctors and other medical providers. How much will my monthly payment change each year? The answer here is both sad and scary. Rates for Obamacare since 2014 are shown in the graph here. Every January there is a rate adjustment. Healthcare Sharing plans do not have scheduled increases. In fact, we only know of two increases in the last 20 years. In most states if you enroll in a an ObamaCare health plan any time between November 1 and December 15 and make your first premium payment by the due date specified by your plan, your new health coverage starts January 1. On other health plans the starting date is could be within a week or could begin in 60 days from application. Am I still required to but a health plan? Was the "Individual Mandate" repealed? The Individual Mandate has been repealed. There is no longer a fee for not having health insurance. The fee may still be owed for the 2017 calendar year and past years, however it won’t be owed for 2019 forward (the mandated was repealed in the 2017 tax bill, but the changes don’t kick in until 2019). Thus, you may still have to deal with the fee when filing taxes for the 2017 calendar year in 2018, but won’t have to deal with it moving forward. Can Legal Immigrants Get Covered? A legal immigrant can buy a private plan such as our Healthcare Sharing plans and may even be able to get cost assistance through ObamaCare (if they file taxes), but can’t get Medicaid before 5 years in most cases. HMO and PPO? What does it mean? 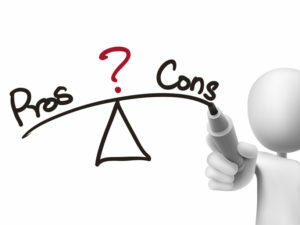 What are some PROS & CONS of Healthcare Sharing plans? Not everyone will be accepted – smokers, for instance. As a Broker of many companies offering health plans, I am here to help match you to the best health plan that will meet your needs and your budget for today. Do we offer the Obamacare plans for individuals and families? We no longer offer Obamacare nor do we offer company plans for groups. We only offer the health plans under the Affordable Care Act that are defined as Healthcare Sharing health plans. These plans protect you from having to pay the TAX PENALTY. One of the plan types defined under the Affordable Care Act. Other types are Employer Group, Medicaid, and Healthcare Sharing. Will I qualify for a SUBSIDY under Obamacare? Go to: https://www.obamacareusa.org/ It's a free website that will search for the plans available in your area and ask you some questions to determine eligibility. Can I enroll into Obamacare anytime I want? ObamaCare is the popular name ascribed to the federal Exchange for individuals & families, as opposed to Employer group plans or to Healthcare Sharing plans. Enrollment dates have changed over the years. Check here is you are unsure when to enroll: https://www.obamacareusa.org/ As of 2018, you have less than 60 days to enroll into an ObamaCare health plan. In 2017 it was during the last two months of the year. However, the effective date (start date) for the health plan is no earlier than JAN 1st of the following year. Healthcare Sharing plans allow you to enroll ALL YEAR. Annual enrollment schedules can be changed by Health & Human Services.